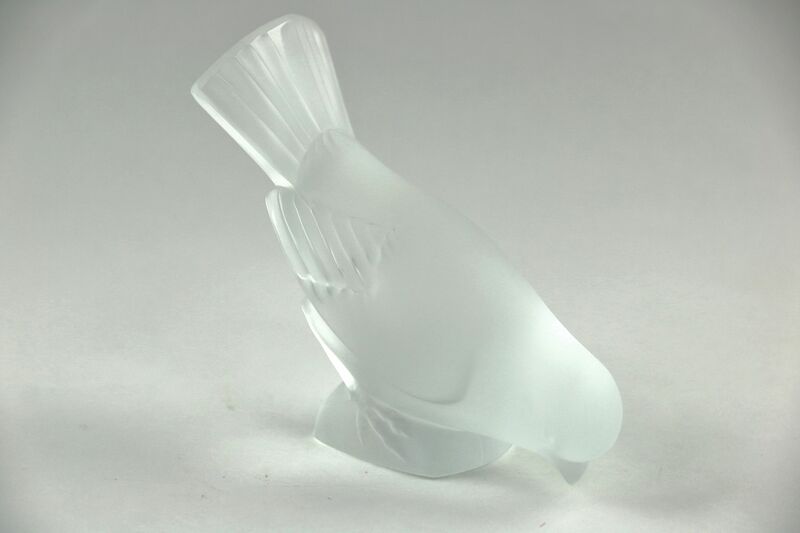 Signed "Lalique France," an etched crystal sculpture of a bird has its tail up. Other birds in photo sold separately. Size is 5" wide, 2" deep and 4" tall. Please view 8 photos at full screen size for best detail.